The LBJ School is proud to have been part of the 2018 Texas Tribune Festival Sept. 27-29, which gathered nearly 400 speakers from around the state and the country to Austin to discuss, debate and share ideas about some of the most important issues of the day in more than 100 interactive events. 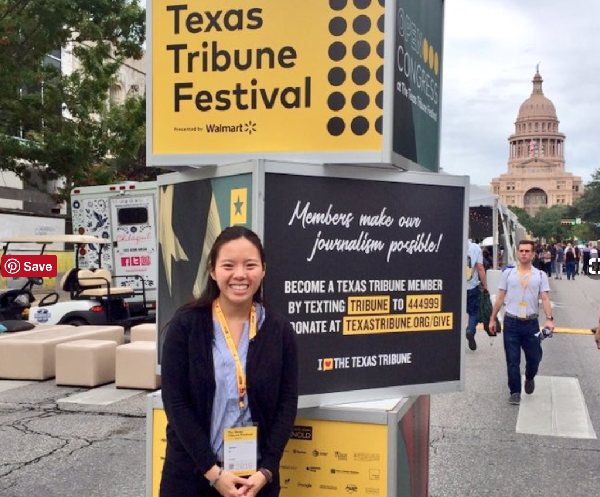 A team of 30 LBJ School students formed the heart of the festival's social media coverage, live-tweeting and commenting on events throughout the weekend, using the hashtag #LBJatTTF. Scroll through the hundreds of posts on Twitter and check out a sampling of some of the team's work below. We need to bring civility, dialogue, reason, and evidence back into the public sphere. Detour at the "All the Opinion that's Fit to Print" panel about @nytimes with @michelleinbklyn @katiekings @BretStephensNYT and moderated by @brianstelter.